According to Coinbase’s blog, a level 2 user, for instance, will now have a purchase limit of $50,000 per day, instead of 50 BTC. “Right now that’s equivalent to about 60 BTC, but as the price of Bitcoin changes, the BTC equivalent will vary”, the company explains. When we originally created the transfer limits on Coinbase, the price of Bitcoin was much lower. A limit of 50 BTC per day in August was only equivalent to $5,000. Today, it’s equivalent to over $40,000. Coinbase is also reducing some limits, especially the ones associated with a Level 1 user. The buy and sell limits are both being reduced to $3,000 per day in this case, which is equivalent to the limit of 10 BTC per day that was created when Bitcoin reached $300 in November. However, the platform recalls that if any user needs to exceed these limits, it is possible to turn into a Level 2 user with a limit of $50,000 per day. “We hope these changes will make buying and selling on Coinbase an easier process for those more familiar with US dollar denominations, and also be a more stable solution to purchase limits as Bitcoin continues to grow into the future”, the message added. 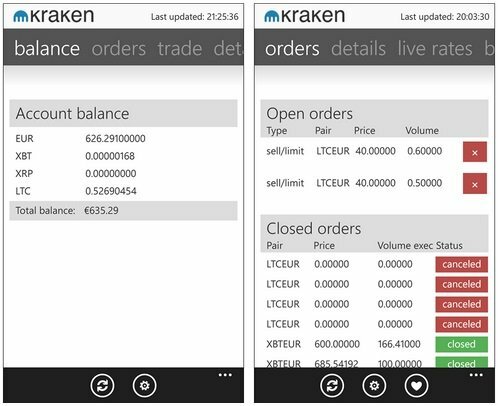 On a related note, Microsoft has recently approved an update to the Kraken app for Windows Phone 8. The company now allows the users of the trading platform application to experience its Bitcoin trading capabilities. 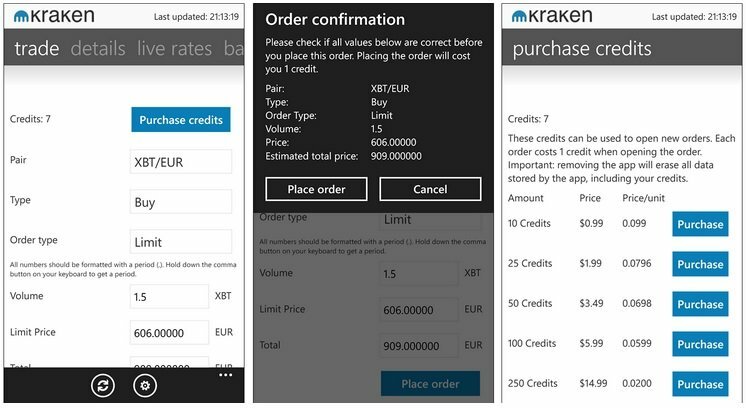 This turns Kraken’s app into the first one to include such a feature on Microsoft’s online store, Techie News quotes. At the time of launching, the application only allowed the users to check live rates of different digital coins and to create a live chart that showed the latest rate for any digital cryptocurrencies duo. This is the second update Kraken introduces in the app, according to the developer, Leon Cullens. Users can now open new trades directly from the app, a change that was authorized by Microsoft. “That’s a huge endorsement in my opinion”, Cullens wrote in his blog, adding that so far “nobody really knew what Microsoft’s stance on Bitcoin trading apps was before today, but by approving my app they have shown that they’re not boycotting Bitcoin“.